This advanced course is designed to provide students with all the skills required to work in the exciting and rewarding field of universal and natural medicine of ayurveda. We train candidates in the art of ayurveda through diet, lifestyle, herbs, therapies and detoxing. We help them to achieve the best results possible in the market and realising their potential through natural healing. Each completed academic year rewards students with a qualification starting from panchakarma therapist of the first year. After two years of studies we award an additional Nutritionist qualification. Three years of continuous studying will qualify students as Ayurvedic practitioners having completed the entire curriculum corresponding to university degree level qualification in Ayurvedic Medicine. What’s special about the course? Our curriculum has been designed in view of creating confident graduates able to deliver high quality service based on a wide range of competencies in the field of ayurveda and other related therapies. The syllabi have been integrated with modules not traditionally taught in ayurvedic courses. These modules, including applied anatomy, western nutrition and gastroenterology, provide skills necessary to understand needs and expectations of the modern informed client or patient. Students analyse safety and efficiency of techniques for health and disease management from both ayurvedic and mainstream bio-medical points of view. The course will take place every Monday and Tuesday for the first two years and Thursday and Friday on the third year. Study hours extend from 9am to 4.30pm with two three hour long sessions for each subject matter taught. The advantages of ayurvedic therapies are vast. Approaching the body and mind from a holistic point of view, these therapies are catalysts for self-healing, appropriate for all ages for stress and fatigue but also for chronic lifestyle disorders and pain management. Ayurvedic treatments vary from relaxing energetic ones to problem based including deep tissue and myofascial techniques. Routines help increasing vitality, destress, prevent injuries, maintain suppleness of all tissues and improve performance. Ayurvedic therapists are involved in reawakening the body’s own intelligence of repairing, the mind’s ability to change patterns of physical and mental behaviour and re-establish a sustainable state of strong health and vitality. An Ayurvedic Panchakarma Therapist is trained to assess body types and administer an appropriate treatment or technique for ongoing care of the client. They will be able to appraise the appropriate use of herbal medicated oils and other herbal preparations used during treatments. They are also able to understand the role of fascia and soft tissue manipulation. This way the therapist can remedy a variety of imbalances such as back pain, Repetitive Strain Injury, whiplash, frozen shoulder, tennis elbow and Carpal Tunnel Syndrome, amongst others. All the techniques of massage aim to correct the steady and comfortable flow of prana, the vital force. A good therapist is able to tune in with the field of energy and channel prana, which governs all activity in both body and mind. Panchakarma programs are designed to liberate the body from toxic accumulation in the tissues and to re-establish good function of body and mind. These programs are prescribed preventatively for health maintenance or to eradicate chronic disease by neutralising and resetting the internal environment of the body. Panchakarma therapists are able to carry out the majority of therapeutic modalities prescribed in a panchakarma detox program. Working alone or alongside an ayurvedic practitioner they will know a number of signature panchakarma procedures including basti (enema) and nasya (nasal oiling). There is a great ratio of theory and practical training on site but candidates are also required to undertake home study assignments especially in the form of case studies. An Ayurvedic nutritionist assesses the effects that food items have on the body and mind. The focus is on qualitative effect of nourishment on tissues and behaviour. In Ayurveda food can be considered both medicinal or toxic, the value depends on its application. Ayurvedic nutritionists are able to choose the right diet and lifestyle to make food nourishing and medicinal and re-awaken the ability to heal through appropriate diet and lifestyle. Ayurveda promotes natural diet which means being organic, local and seasonal. Ayurvedic nutritionists know what is ideal for every individual and this knowledge is based on thorough understating of digestive capacity and adherence to the cyclic nature of life. Modern research has proven that diet and lifestyle impact gut health and that majority of illnesses start from the gut. Ayurveda puts the focus in regulating digestive fire. Nutritionists have a thorough understanding of the key role of good digestion, absorption and elimination. They will also be familiar with the most common digestive disorders and how to correct them. Trained in the ways of improving patient compliance they empower clients to take responsibility for their own health, establishing how ready they are to change and then helping them overcome barriers to change. The graduates will have advanced knowledge and skills in developing individualised meal and lifestyle plans to promote optimum health, prevent disease and heal. Diet is explored by emphasising its functionality and naturalness rather than calorie or nutritional content. A deep dive into gastro-intestinal anatomy, physiology and pathology will guarantee a thorough understanding of the gut and its influence on health and disease. This advanced level course offers also a chance to understand the latest advancement in science in the areas of western nutrition, microbiology, gastro-enterology, circadian medicine and epigenetics. These relatively new fields of study are providing common grounds for ancient and modern perspectives on health to merge together as a powerful combination of practice. Our course material is constantly updated keeping in mind latest discoveries in the field of science for comparative study with timeless wisdom of Ayurveda. There is a great ratio of theory and practical training on site but candidates are also required to undertake home study assignments. There will be programs of lecture, workshops and talks by industry experts. If you are thinking of taking your study to a higher level, Ayurvedic Practitioner diploma, equivalent to an undergraduate course, is awarded after successful completion of three years program that covers the study of the integrated system of traditional Ayurveda, other aligned alternative therapies and bio-medicine. The graduates will also be enrolling to an internship program in the end of the course in India. The course covers the study of anatomy, physiology and pathophysiology from both modern and traditional perspectives. It also includes pharmacology, botany and phytochemistry of both Indian and Western pharmacopoeia. There is also a module on preparation of own herbal medications. In this part of the whole course will also delve deep into the classical literature of Ayurveda of Ashtanga Hrdayam of Vaghbata. Graduates will be trained in ayurvedic psychology or Vedic healing, gynaecology called prasuti tantra and also hirudotheapy (leech therapy) one of the cornerstones of panchakarma bloodletting. Ayurvedic practitioners from our course will be leaders in integrative health care, possessing a unique combination of skills from Easters and Western traditions. There is more and more need for professionals that understand and can guide clients safely towards better health management and healing in the midst of the rising numbers of chronic lifestyle disorders of the present day. To access our Level 5 qualification you will need to have A levels or equivalent-level qualifications. What associations can I join with this qualification? The first year course constitutes the foundation for the Nutritionist courses. Practitioners need to complete all three years in sequence. How long is the Diploma course? We run this course from September to June on two weekdays Tuesdays and Thursdays from 9am to 4.30pm. We give our students the maximum individual attention in the market. Face to face class room theory and practice is accompanied by home study with reading, essay writing and case studies. Final assessment days are included in the time frame. After the course the graduates can take further studies in an ayurvedic hospital in India. If you are unsure whether this course is for you do get in touch by emailing anu@jivitaayurveda.com. If you already know this course is for you then you can enrol by following this link and pay the deposit. 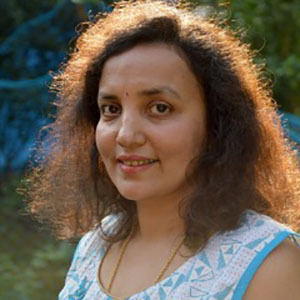 Anu is the founder of Jivita Academy of Ayurveda. She has been involved in education in Finland already when studying in the university of Helsinki in the Nineties. The real passion for teaching was inspired by her turn of career from language studies to ayurveda. Anu realised soon that to get results with clients they needed fundamental education on basic healthy living. Ayurveda is mainly about self-care and most of the times clients need help in understanding what is in their power to do. Having started teaching in a yoga teacher training school called Yoga London in 2010 she developed her interest in education and launched Jivita Academy of Ayurveda to respond to the high demand of quality courses with hands on approach for therapists and nutritionists. Two main courses are offered by the academy at the moment: a 200h intensive training for therapists and a full 1000h diploma course for therapists and nutritionist. The latter is also a foundation course for 3000h ayurvedic practitioner qualification. The passion in education in also visible in client work. Anu is passionate about translating ancient wisdom of healing into modern context. She empowers her clients to take charge of their own health by increasing awareness in nutrition based on their individual needs. Incorporating her twenty years of practice and teaching of yoga Anu’s approach to healing is almost unique to anywhere in London or UK. Anu has created a community of enthusiasts by teaching that health in its right form brings about joy in life. Healing and recovering in her opinion do not exclude fun and enjoyment but are an extension of balanced and abundant life. Dr. Mahesh Mathpati is an Ayurveda physician and has been practicing Ayurveda for more than 13 years in India. Since early days of his Ayurveda education he has been involved with research and education in the field of Ayurveda, local health traditions and other India Systems of Medicine. This initial involvement, help him to crate in-depth understanding of plants, fundamental principles and practice of Ayurveda. As a physician he has been working with eminent physicians and scientist in India and abroad. After his Ayurveda training along with his research work Dr. Mahesh also worked with Ayurveda clinics and hospitals in South India. Last decade he has been working with indigenous communities to create integrated modes of health care combining traditional medicine and western bio-medicine to bring self- reliance in the communities using integrated approaches. He also works with various Non-Government organisations (NGO’s) in India and UK in the area of health, nutrition, biodiversity conservation and farming. His diverse interests involved him with various plants, animal and environmental conservation program. Since completing Masters in public health he has been working on health systems and policies governing integration of traditional, complementary and alternative medicine in public health systems. 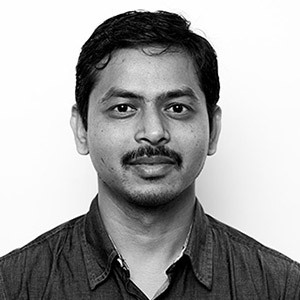 He currently works as a Research Associate at Trans-Disciplinary University, Bangalore and Visiting Research Scientist at London School of Hygiene and Tropical Medicine, London, UK. Professor Murthy's diverse medical education and clinical background spanning across India, New Zealand, Australia and England since his first set of medical qualifications in 1995 has shaped his practice. 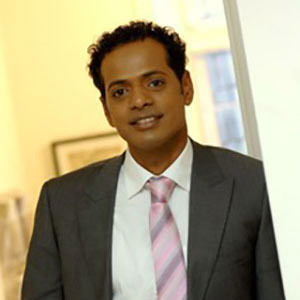 After nine years of training in Ayurveda alongside medical sciences at medical teaching hospitals from Bangalore University, Professor Murthy worked in private practice, hospitals, communities and herbal manufacturing, later becoming academic and research leader at a leading natural therapies college in New Zealand. His Masters in public health from the University of Auckland and PhD in Australia on women’s use of complementary and alternative medicine combined with continuous clinical practice has fine-tuned Professor Murthy’s methods of public health service. Bastian Juel is an Osteopath running a busy practice in Kensal rise, West London. He is originally trained in Cranio Sacral Therapy at the Stanley Rosenberg Institute in his native Denmark and has completed his Paediatrics Cranial work with the Milne Institute, Berkeley CA. He is further trained in Visceral and Neural Manipulation with the Barral Institute US, as well as sports massage, medical acupuncture and Anatomy in Motion (AIM). 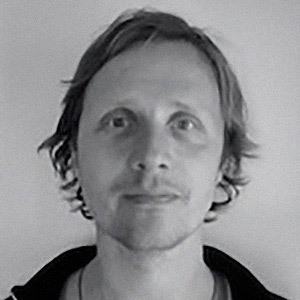 Bastian is a keen aikido and meditation practitioner and keeps furthering his understanding of functional and dysfunctional movements patterns through his own movement practice, clinical observation and continuous professional development. Bastian believes that in order to gain optimal health, it is important to take into account all areas of the patients daily life, diet and activates that may prevent them from full recovery. Treatment is always patient specific and tailored to the individual. As well as treating adults he takes a keen interest in children and development of the infant, and has gained great experience in working with Special Needs and pain management. Away from osteopathy, Bastian enjoys being a father of two wonderful boys, aikido, meditation, travelling and spending time in natural surroundings. 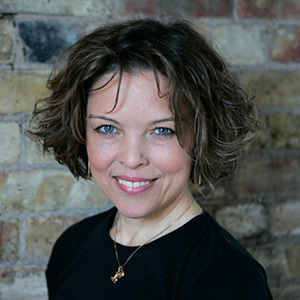 Kate has been exploring the moving body and transformational process since the early 90’s and brings many years of experience to her work as a body psychotherapist, yoga teacher/trainer, meditation practitioner/teacher and student of various movement theories including the work of Bonnie Bainbridge Cohen and Ruella Frank. 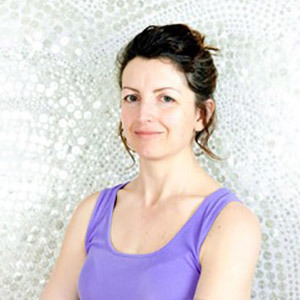 Though teaching yoga for 18 years, Kate now specialises in training teachers to work 1-2-1. She brings elements of body psychotherapy to her trainings and encourages her students to experience the therapeutic value of intelligent movement, relational work and embodiment. In many ways, her trainings explore all the ele ments of therapeutic practice that which happens in the spaces in between. Dr Prathima Nagesh obtained her degree (BAMS) from SDM College of Ayurveda, Udupi, India. She subsequently specialised in Panchakarma MD from SDM College of Ayurveda, Hassan, India. She has been practicing in UK and Europe for more than 10 years. Prathima runs a clinic in Essex, UK and also in Canary Wharf, London, UK. She has been lecturing on ayurveda for past 11 years, and works at College of Ayurveda (Milton Keynes) and as well at the Middlesex University London. Dr Prathima Nagesh is also a visiting expert at School van Ayurveda (school of Ayurveda) in Gent, Belgium. She has presented papers and given talks on Ayurveda in many conferences and institutes in India and Europe. She is one of the board members of European Ayurveda Academy (EAA). Dr Prathima Nagesh is the director of Agnihealthcare Ltd, UK, which provides quality Ayurvedic treatments.